Amid Morocco condemning Polisario’s provocative maneuvers east of Morocco’s defense wall, a UN spokesman denied any violation of the ceasefire agreement. 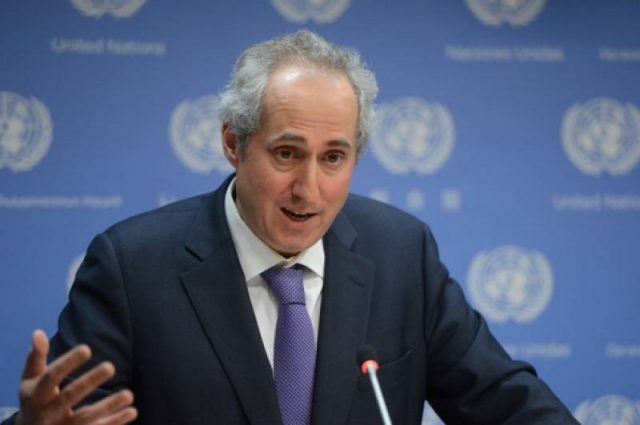 Rabat – The spokesperson of the UN Secretary-General, Stephane Dujarric, confirmed that Morocco sent the UN a letter condemning Polisario’s provocative maneuvers east of Morocco’s defense wall and in the Guerguerat buffer zone in Western Sahara. The official also briefed reporters about the procedure that the UN takes when it receives letters regarding violations. 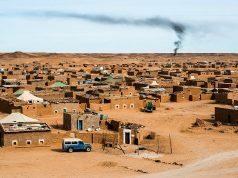 “There is an established procedure for assessing such allegations by either party undertaken by the UN Mission on the ground, based on the impartial monitoring and observation functions of our colleagues in Western Sahara,” said Dujarric. Will Dujarric have to backtrack? 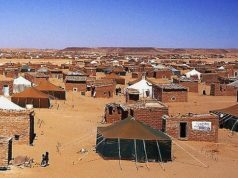 In past statements, the UN spokesperson has denied Polisario’s violations of the ceasefire to only later admit them. Such missteps underscores the difficulty MINURSO has in monitoring the vast area east of Morocco’s defense wall and calls into question the veracity and accuracy of reports it submits to the UN Secretariat. Morocco’s reports to the UN Secretariat and Security Council are based on satellite images that cannot be challenged. Meanwhile, MINURSO has at its disposal as little as two helicopters to monitor the whole east of the berm. Paradoxically, Polisario admitted to its presence east of Morocco’s defense wall in the town of Mehriz, where Polisario conducted military actions and inaugurated “administration” facilities in the past few weeks. On January 6, the Polisario Front conducted military actions with heavy equipment. 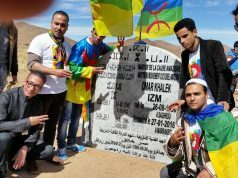 On January 7, the separatist group inaugurated facilities in the presence of Polisario leader Ibrahim Ghali. On behalf of the Moroccan government, Morocco’s Permanent Ambassador to the UN Omar Hilale said that two Polisario vehicles violated the UN restriction in the buffer zone of Guerguerat on January 8. It is not the first time that the UN spokesperson has not confirmed violations from the Polisario Front only to backtrack later. In April 2018, Dujarric said that MINURSO had not “observed any military elements in the northeast territory” amid Morocco’s anger over the separatists’ presence in buffer zones of the region. Nearly two weeks later, Dujarric reported that a MINURSO patrol unit was intercepted and faced Polisario gunfire on April 16, 2018. 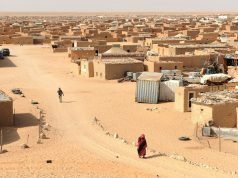 “MINURSO has informed the UN Security Council that on April 16, in the Tifariti area, MINURSO observers were intercepted by Polisario elements, who then proceeded to fire warning [shots],” the official said. 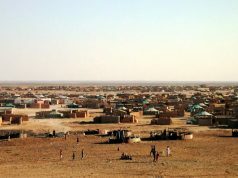 Polisario’s actions might result in escalation because they are violations of UN Resolution 2414 and Resolution 2440, which urged Polisario not to return to the buffer zone of Guerguerat, nor relocate any structure to the east of the defense wall.